AVENE thermal spring Water and its Formulas bring your skin valuable soothing properties and helps reduce skin reactivity. 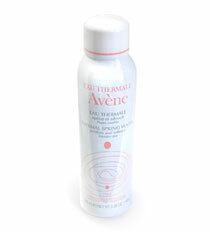 Anytime your skin feels tight, spray a fine mist of Avène Thermal Spring Water over your face. It will leave a protective film onto your skin. This enveloping sensation of softness is possible thanks to the gentleness and purity of Avène Thermal Spring Water which protects your skin.